The BREXIT vote of 23rd June was a momentous occasion for UKIP and a seismic shock for politics in our country. With the mainstream media and the establishment predicting a victory for the remain campaign and doing their best to ensure it, the people of the UK showed belief in our ability to not just survive but thrive as an independent, outward looking and globally trading nation. But with the achievement of UKIP’s founding goal , those same commentators quickly turned their sights on the party and questioned whether we had a future with this core plank of our policy apparently removed. What next for UKIP? Nigel Farage, the driving force that caused the referendum, stepped down as leader of the party – after 20 years of fighting against the EU elites and ridicule from many quarters he stated that he wanted to get his life back. Having seen how hard he had worked to the detriment of both his health and family, only the hardest heart would begrudge him the chance to rebuild some sort of personal normality. A leadership election swiftly followed but many of the biggest names within the party did not stand and the victor, Diane James MEP, felt that she could not do the job after just 18 days in charge – to her credit, she acknowledged this early rather than persevering with a position that could have quickly become untenable and damaged the party further. This has led to a second election where some of the ‘big beasts’ have joined the fray and an interesting contest has ensued. I first encountered Peter Whittle at the Party Conference in London in 2013. His speech as a representative of the New Culture Forum, a think tank he heads up, not only hit a chord with me but also with those in the hall who gave him a standing ovation at the end of it. I contacted Peter shortly afterwards and asked him if he could come and do a public meeting in Hillingdon – he was only too happy to do so. Indeed, since then he has spoken at three meetings in our area in Hayes End, Uxbridge and West Drayton. His willingness to engage, even on a cold night in the middle of Winter when we had a relatively poor attendance at one of the events, speaks volumes. That particular event garnered two new members who have gone on to be amongst our best activists because of his inspirational oratory. His interest in the grassroots soon became apparent to us in Hillingdon. When we were looking to do a fundraiser and asked party luminaries for donations to the raffle, Peter very kindly posted us signed copies of the six books he has written on cultural issues which helped to generate the cash for our general election campaign. Peter has a background in the media and when he returned from the US he set up a think tank in London based around cultural issues. He has invited both myself and other rank and file ‘footsoldiers’ to a number of the events where a range of speakers have been present. 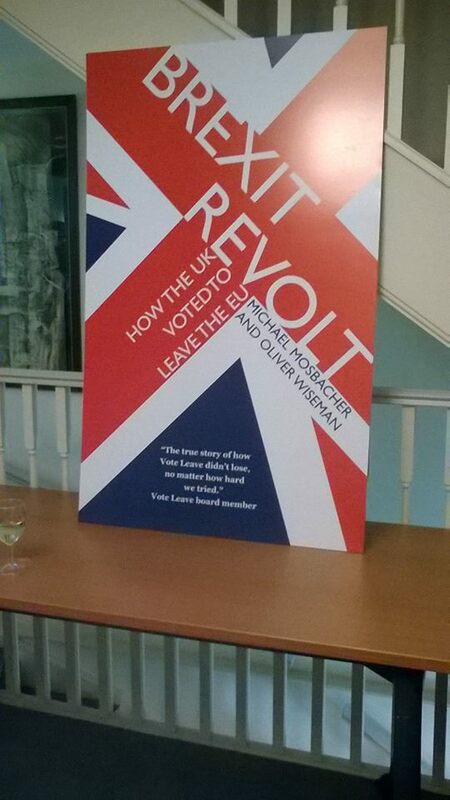 Amongst the highlights have been a talk from Rafe Heydal-Mankou on the erosion of London culture in the face of the globalisation of our City, Douglas Murray on the threat to our country from Radical Islamism and the launch of the the ‘BREXIT Revolt’ book shortly after the EU Referendum which was attended by a number of those involved in the campaign including Nigel Farage and Arron Banks. It has struck me at these events that Peter values the input of the ordinary member and that invitations have not been restricted to the ‘great and the good’ – he has invited those who have worked with him on campaigns, irrespective of background. Many have said that London is a world apart and not ‘UKIP Territory’. As our Mayoral candidate and head of the party list in 2016, Peter tore that particular myth up and together with David Kurten got our first seats on the London Assembly for over ten years. Working with active branches in London, Peter was not afraid to meet people on the street in areas where the media would have you believe that we would not be welcome. 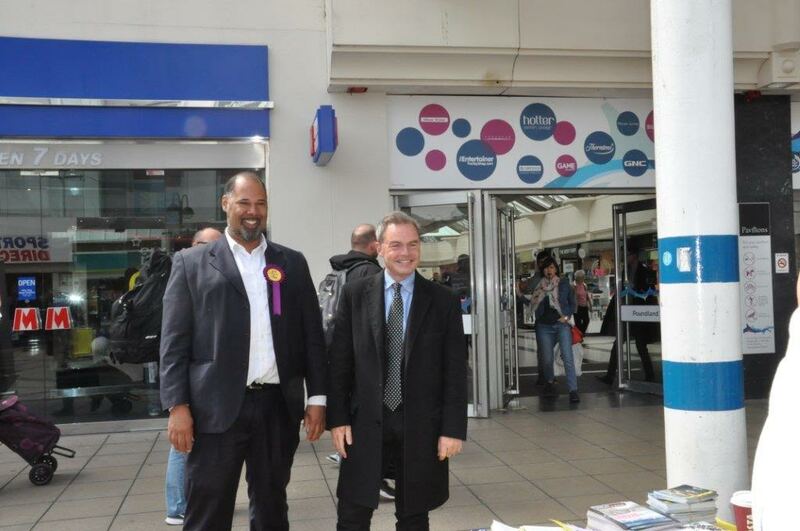 One particular event in Uxbridge sticks with me where we were accused of being ‘homophobes and racists’ – after Peter and David spoke with the three individuals in question, they engaged and left with UKIP manifestoes in hand, quite shocked by the difference between MSM rhetoric and the reality. His calm demeanour and willingness to engage certainly made a mark. In the face of a hostile media he also garnered good reviews as the party spokesman during the campaign – even the likes of The Guardian found it hard to say a bad word! After election, Peter also came back to the area and spoke with residents on a demonstration in Harmondsworth against the Third Runway – this was commented on by campaigners who were not used to seeing politicians when they did not need votes to put them in to position and has helped us immensely where some would have questioned our commitment to the cause. Since assuming his position as the leader of the UKIP GLA group, Peter has made a fine start in holding London Mayor Sadiq Khan to account. His team have been in constant touch with our branch to find out what people in our area need and to this end have questioned the Mayor over PHV drivers in Harlington, the Third Runway (Forcing Khan in to endorsing Gatwick) and his reluctance to confront Islamist extremists from Hezbollah on the streets of London. When EU flags were raised over City Hall after the election of the Labour Mayor, Peter and David pushed a motion asking for them to be removed and replaced with the Cross of St George – to the shame of the other members of the Assembly, the Tories abstained and Labour opposed. Peter has also grilled Metropolitan Police Commissioner Sir Bernard Hogan-Howe on the lack of convictions for FGM, a crime that is now unfortunately prevalent in our part of London. Whilst UKIP need to be ready to fight for a proper BREXIT it is to Peter’s credit that he not only acknowledges that but with his partner on the GLA is ready to look beyond a successful outcome and build a fighting force that confronts the establishment parties on domestic issues that affect us all. In interviews with the BBC he has also confirmed that UKIP needs to build and fight Labour in the North where the next major breakthroughs will be made as we push on to replace Labour as the main opposition in Westminster. I mentioned before that we now have a proper leadership election. 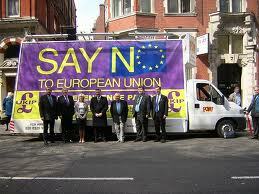 I have worked with Paul Nuttall before and am a big fan. especially on his stance over an English Parliament – he would make a fine leader of our party. I know very little of John Rees-Evans but have heard good things from those who have worked with him in Wales. However, having worked with Peter over the last few years I would like to think that we have developed from colleagues to friends. He speaks my language when it comes to putting the pride back in to our country, working to establish a community based around a shared vision for our future. A future where working class people like Peter, a grammar school boy from Shooters Hill, can fulfil their potential. A leader who acknowledges the work of the grassroots and is there to help us build the party from the ground up as he has done for our branch since our first meeting. We can have a ‘safe pair of hands’ or we can reach for something more, achieve UKIP’s potential and change our country for the better in a post BREXIT world. 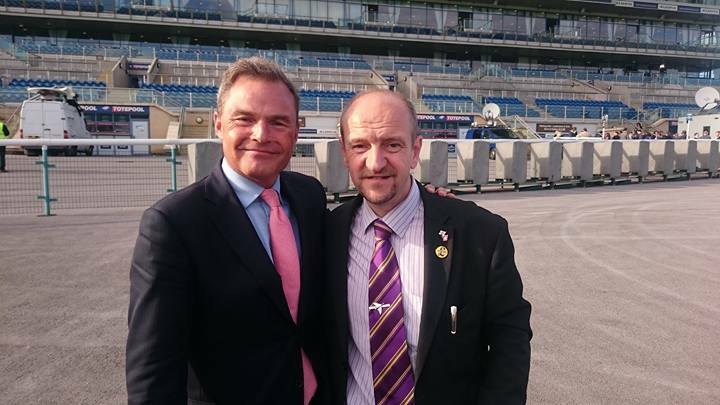 I believe that Peter Whittle is the man who can lead our party and our country to a better future – that is why I am endorsing him for leadership of UKIP and would urge you to do the same. This entry was posted in Greater London Assembly (GLA), Local Campaigns, UKIP and tagged GLA, Peter Whittle, UKIP, UKIP leadership. was impressed. Paul I am suspicious off as he is already putting forward his personal wants as policies – not those of the party. Suzanne – ghastly woman. And we have lost you. So Peter will be my choice. Cannot imagine why he is not Mayor – lack of publicity I expect and the media would have had a lot to answer for no doubt. I see Peter Whittle as the only alternative. Suzanne Evans’ self conceit is offputting to many. Plus she looked awful at LBC meeting she could have at least have done something with her hair and looked respectable. Paul – you are right – is now do overconfident he is proposing his own agenda against women’s issues – as if the leadership is already his own personal freafdom. JRE is too risky. That leaves Peter, st least a man of thoughtful intelligence.